Christmas has officially come and gone for some. Many will be taking down their trees already today, but before you just throw out your tree think about all the amazing DIY possibilities it has for years and years to come. 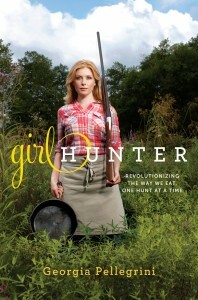 We love to always think resourcefully and make use of just about everything before we throw anything out. We decided this year to turn our tree’s trunk into a wreath we can use year round. 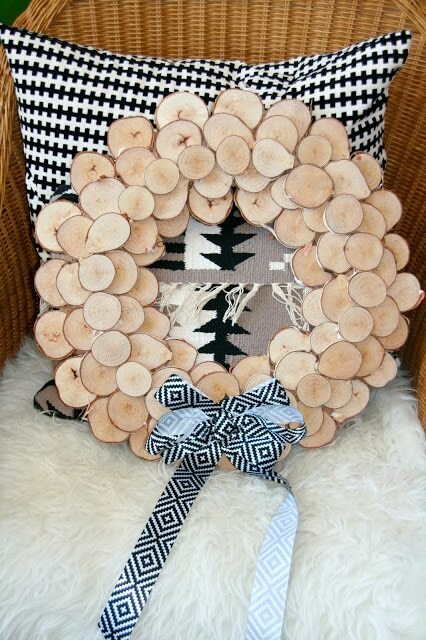 The following is a how to make a DIY Wood Wreath From This Years Christmas Tree. 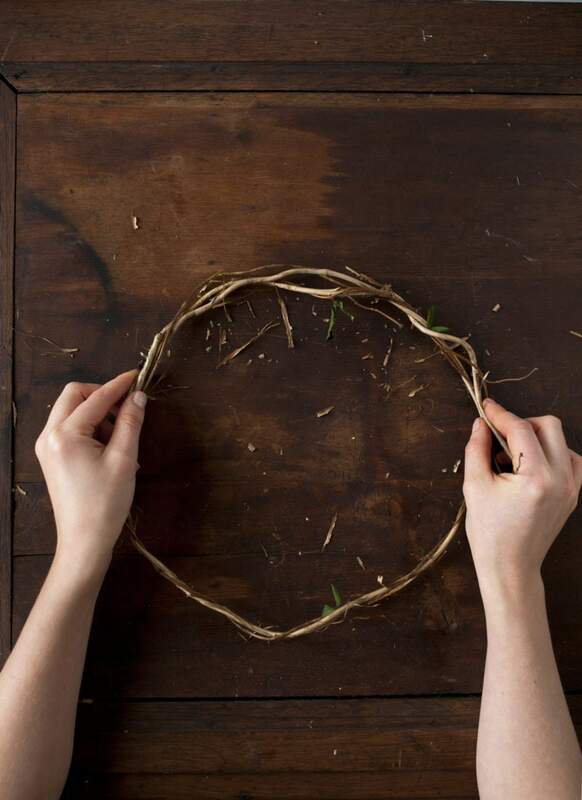 To start: visit this post on how to make a wreath base. 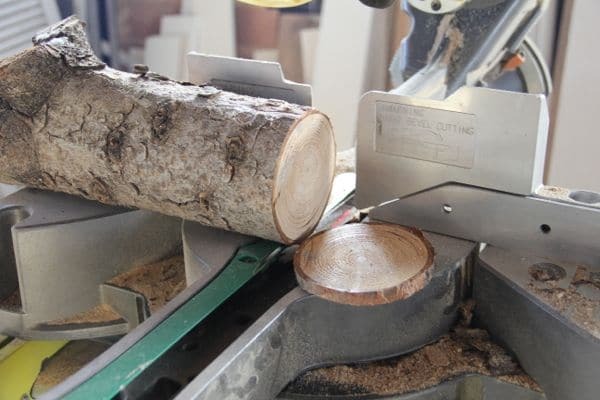 Step 2: Saw off your trunk into 50-100 wood disks. 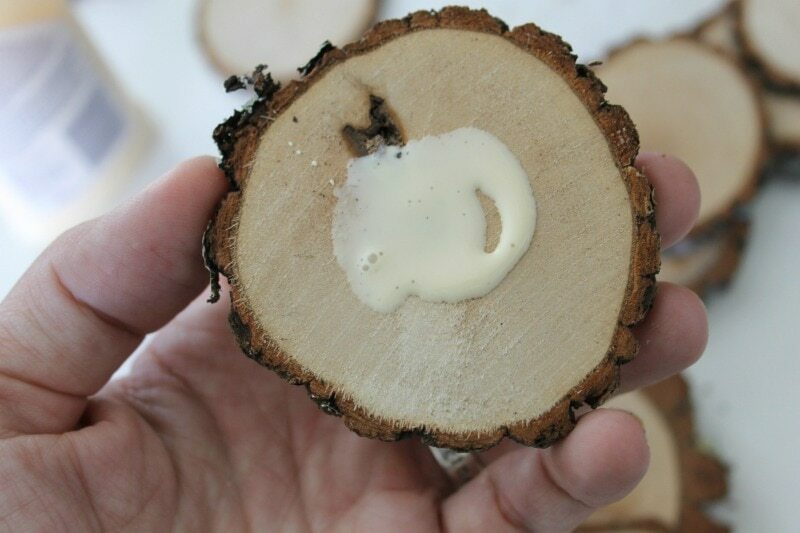 We recommend making use of every inch of your tree trunk and saving the disks for future and additional DIY projects, like some handmade ornaments for next year or even using the disks as coasters around the house. You certainly can never have enough coasters, having family home for the holidays teaches you that quick. A Miter Saw is best used here, although a handsaw can work as well. Investing in a good miter saw is always worth it, they are easy to use and you’ll be finding every reason possible to use them once you know how. 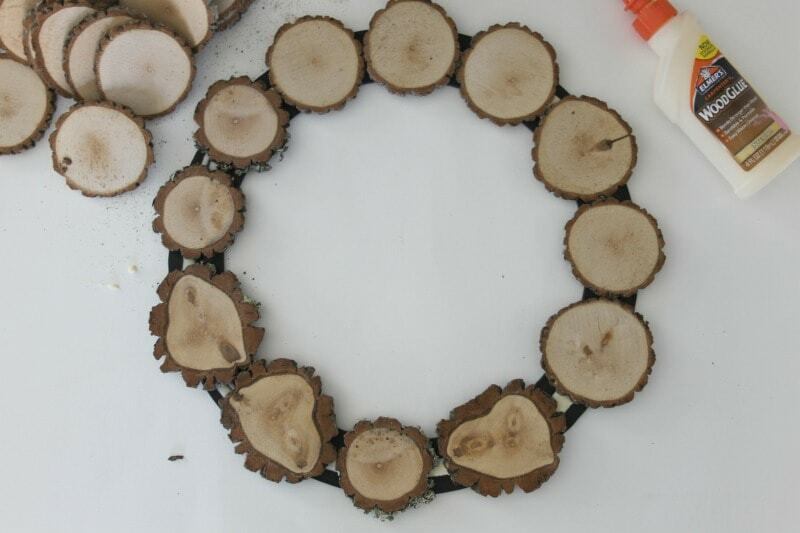 Step 3: Grab your wood glue and begin rounding your slices around the wreath base. Depending on the size of your base and look you want you will determine the number of layers of slices you will need. 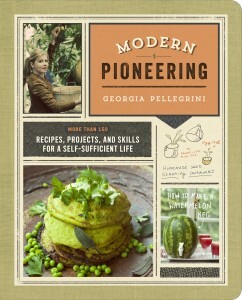 It is really something you can determine as you go, we really love an adaptable DIY. 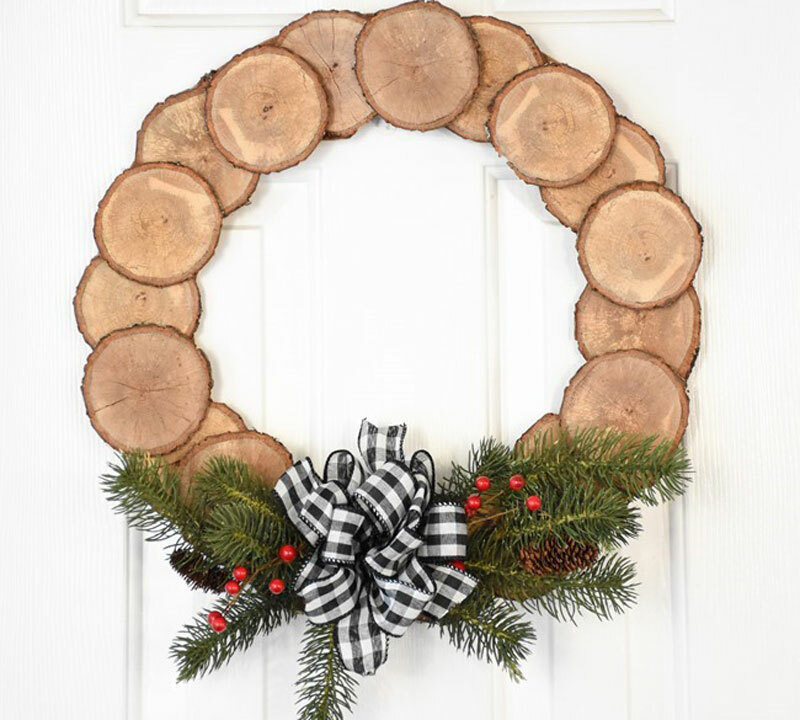 It is a good idea to also place something heavy overtop your wreath to help even out the weight and aid in drying. Step 5: Add ribbon and decorations to your wreath. 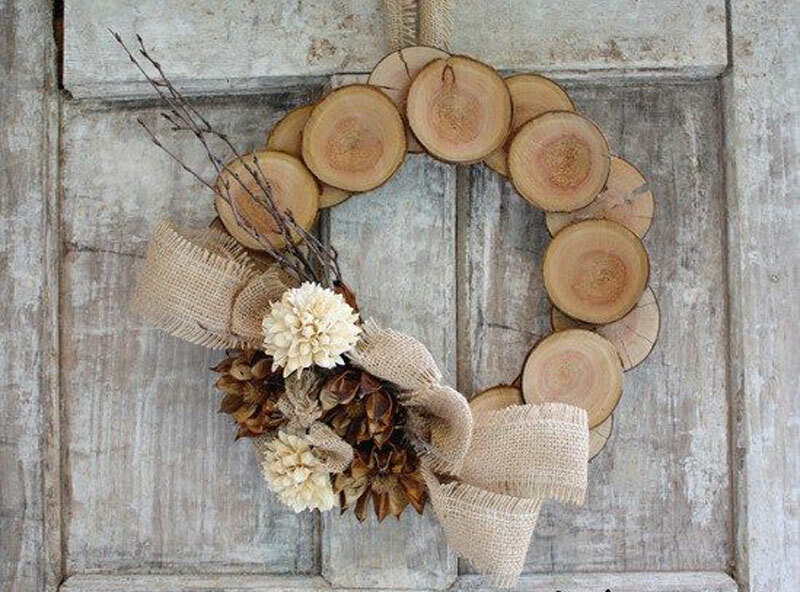 We love the idea of using this wreath year round and switching up the decorations that you use on it seasonally. You can add other natural elements from your yard. You can get creative as you want. We love the natural and rustic look of the raw wood, though if you like you can even add paint. 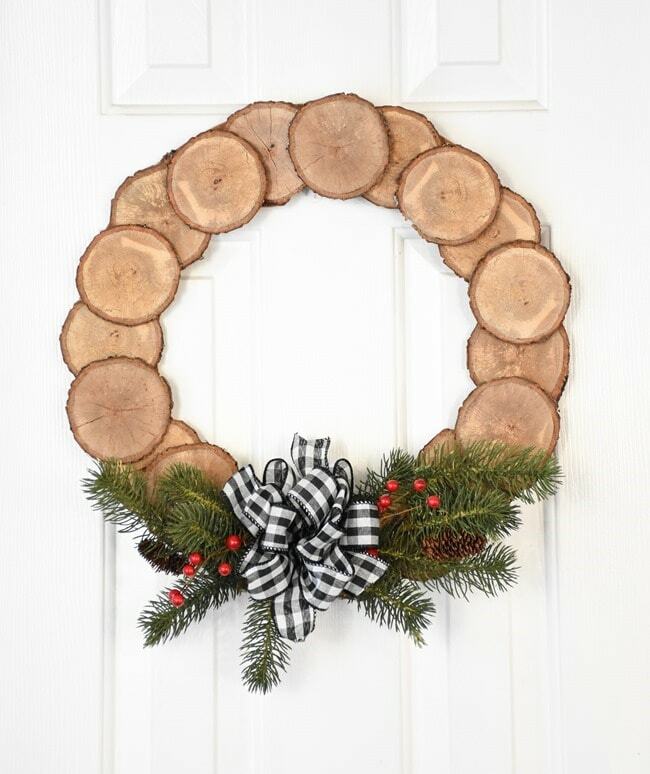 Step 6: Hang and enjoy your wreath! 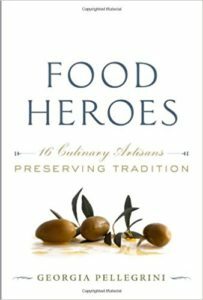 How do you get resourceful with your Christmas leftovers of all kinds? We’d love to know comment below or tag us on social media.